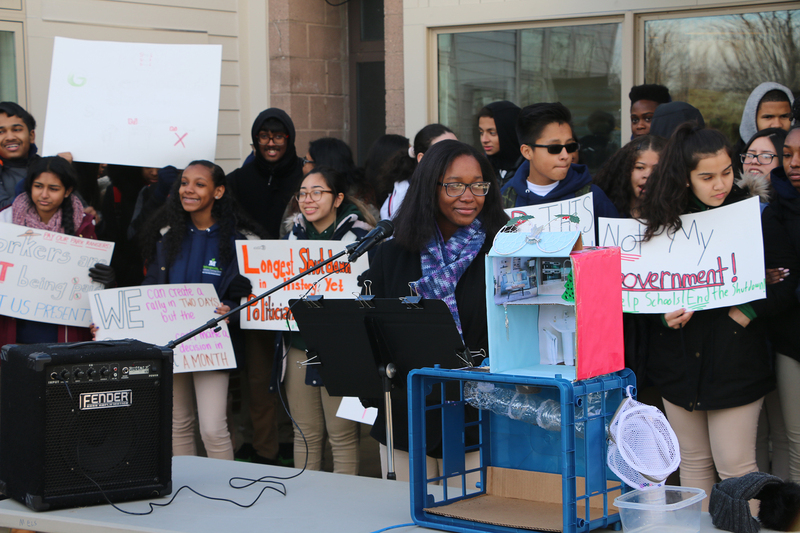 Each year, 9th graders at MELS, our Network School in Forest Hills, learn about the impact humans have on the environment in a class called Living Environment. 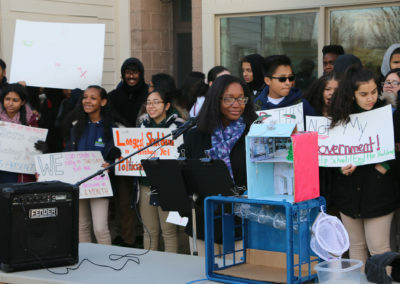 As a part of this class, students complete fieldwork, or relevant study with experts in a field, at the Jamaica Bay Wildlife Refuge, which is located in the Rockaways and managed by the National Park Service. 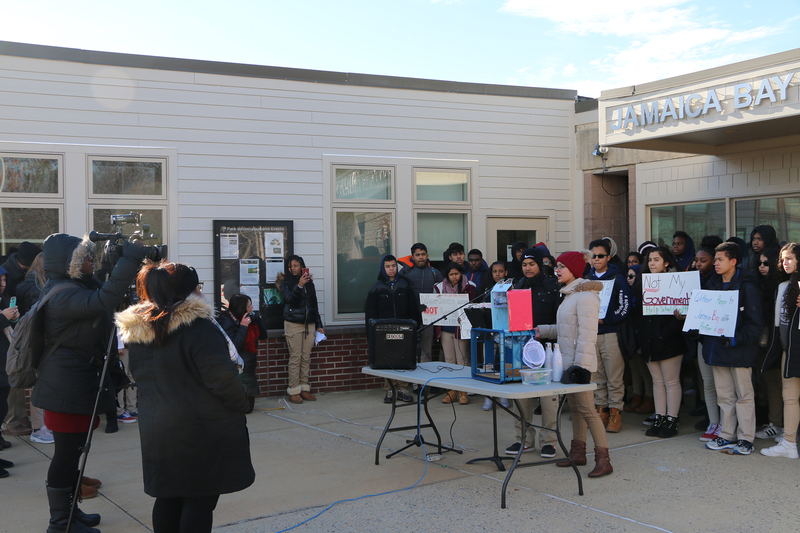 Students learn from park rangers about the various ecosystems the refuge supports. 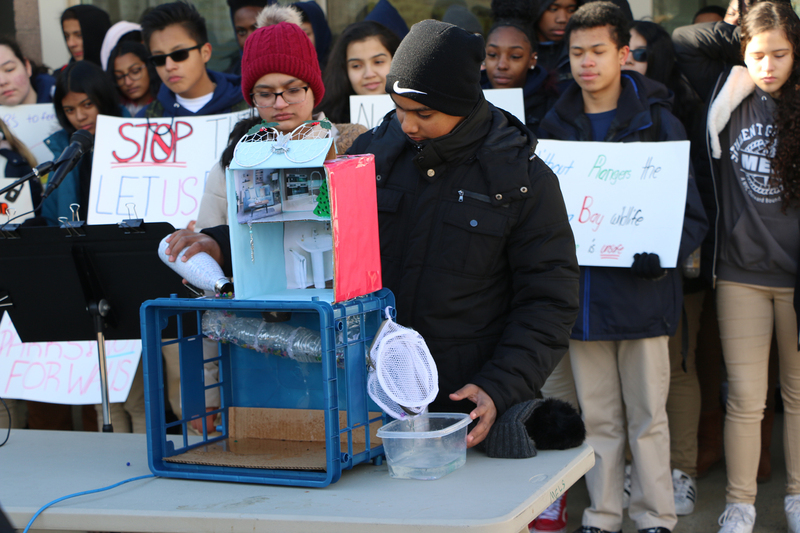 After completing their fieldwork at the refuge, the students return to their classrooms to research and develop innovative processes or machines that will decrease the impact humans have on the natural world. 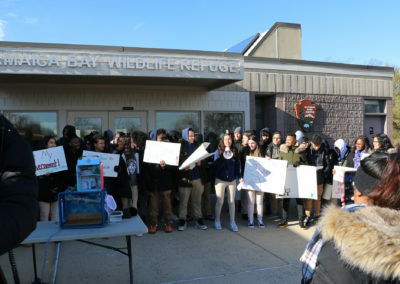 Traditionally, students then return to the Wildlife Refuge to present their final projects to the park rangers who inspired them, as well as their parents and community members. 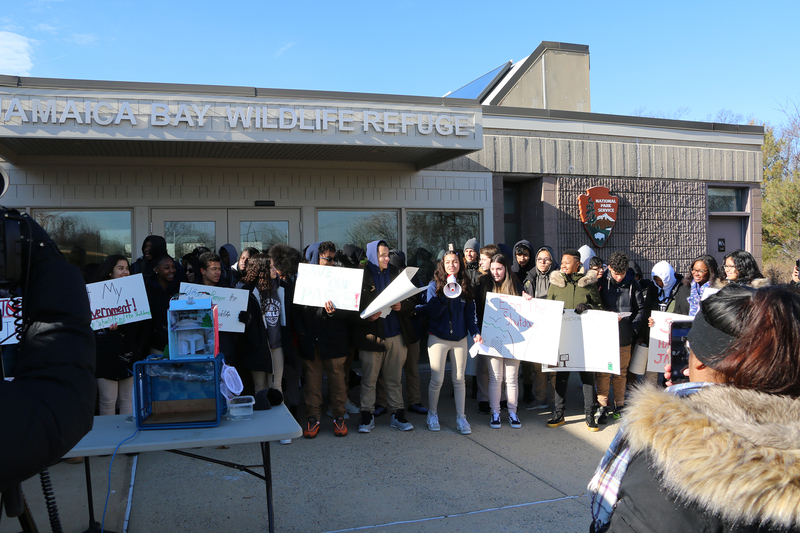 However, this year, because of the government shutdown and the suspension of all National Parks services, the Wildlife Refuge has been closed. 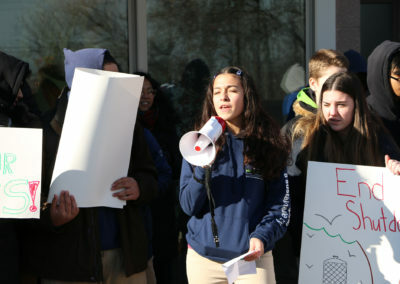 Students were devastated to learn that they would not be able to present at the Refuge’s Visitors Center. 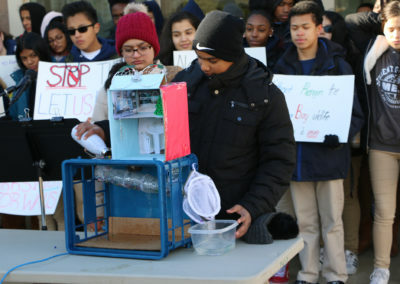 But rather than give up, the students decided to take action. One student, Naomi, said, “We all sat down and thought of ideas of how to make an impact and let everybody know that this is wrong.” With two days to plan, the students and their teachers pulled together a student-led rally: they called the press, created signs, and wrote their speeches. 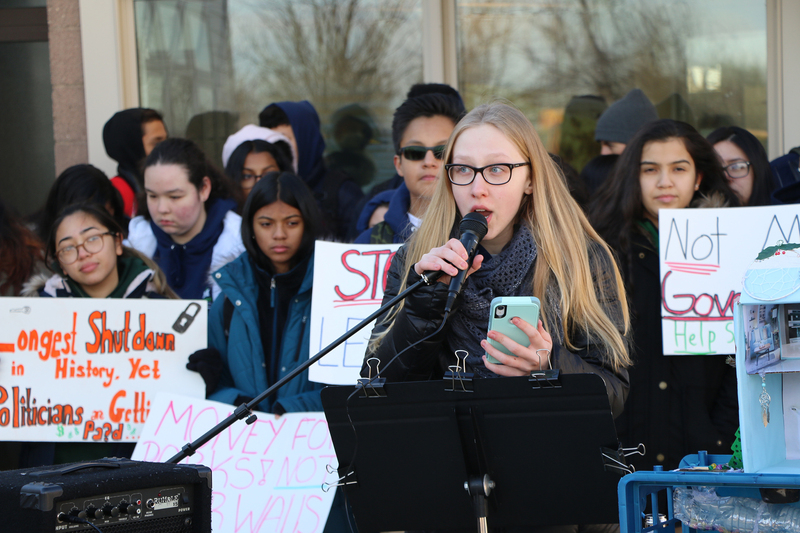 After the rally, the students felt empowered. 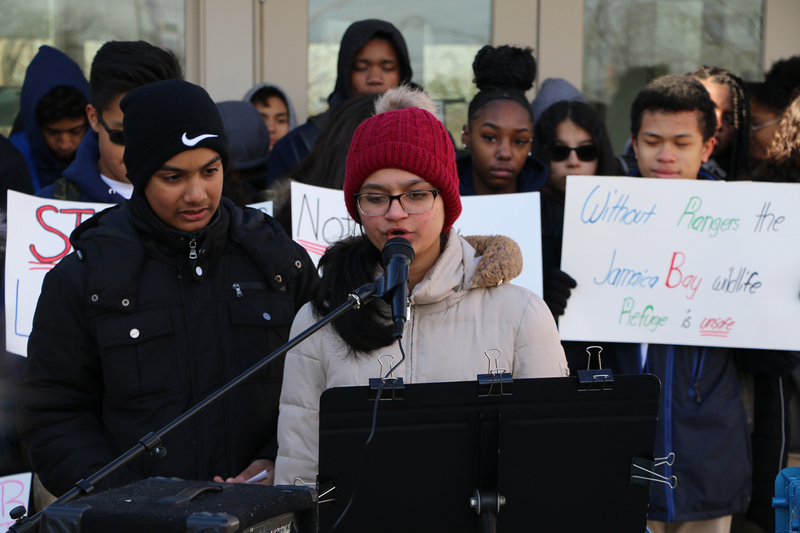 “I felt extremely proud of my peers who were speaking because they were the voice of the whole school,” said student Vanessa. 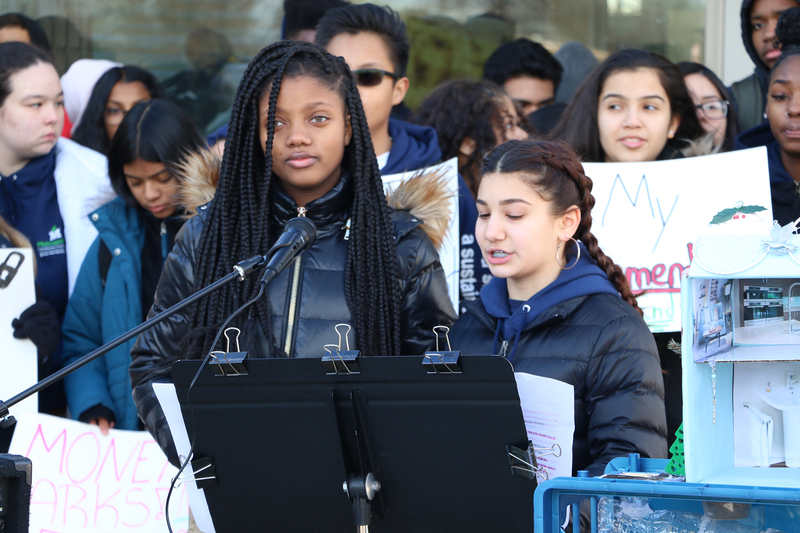 “I feel really powerful. 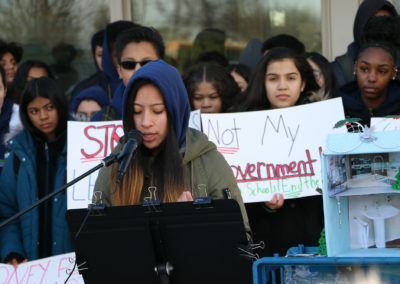 I feel like I wanna do it again. 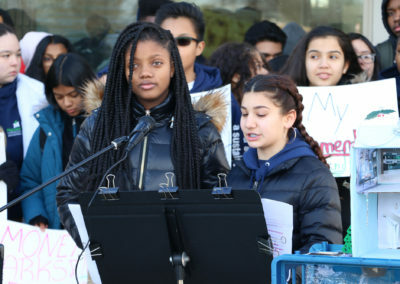 I want to speak out,” concluded Naomi. 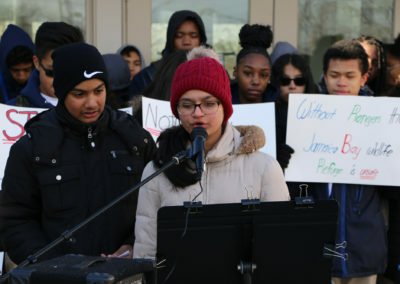 Not every 9th grader chose to participate in the rally. 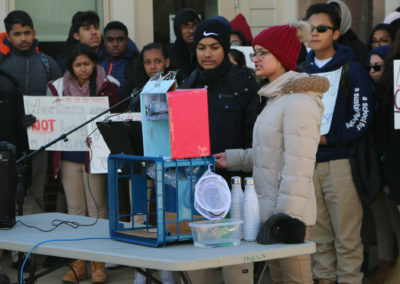 Those students instead wrote papers explaining why and offering alternative suggestions for action. 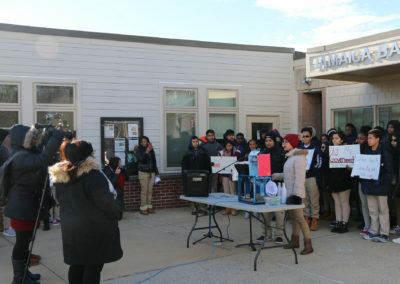 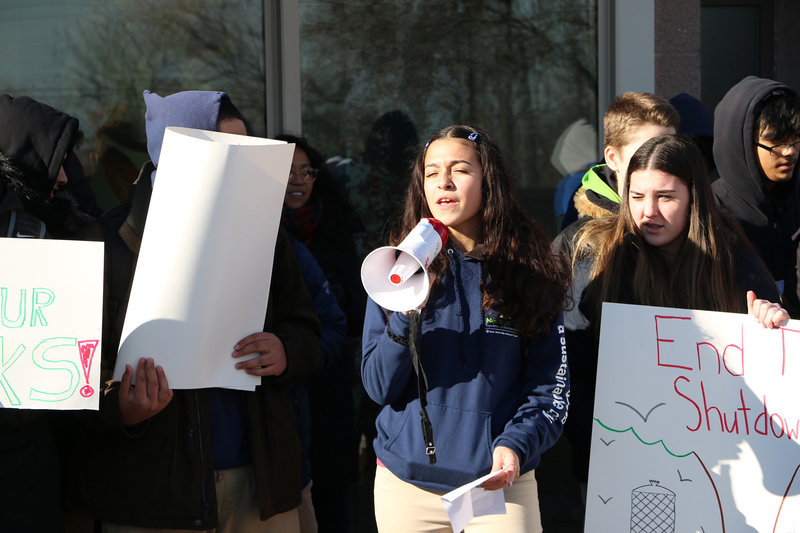 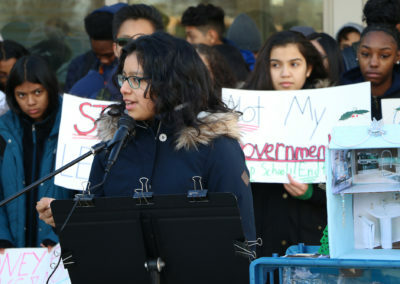 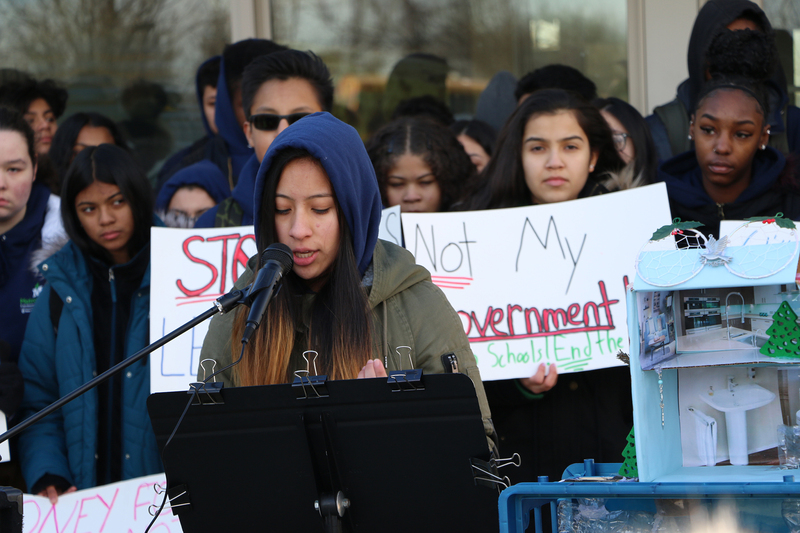 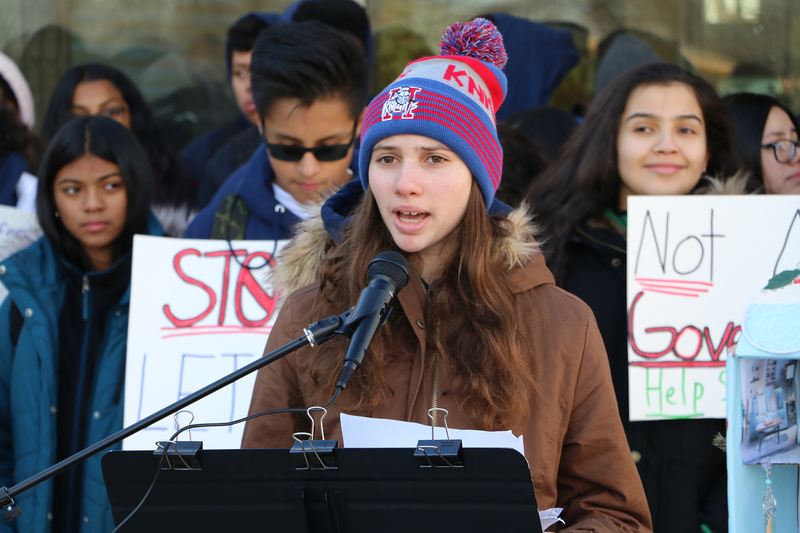 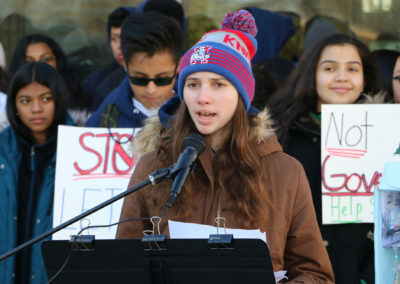 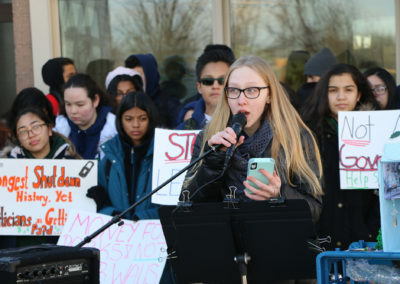 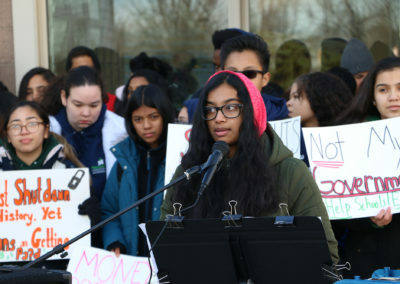 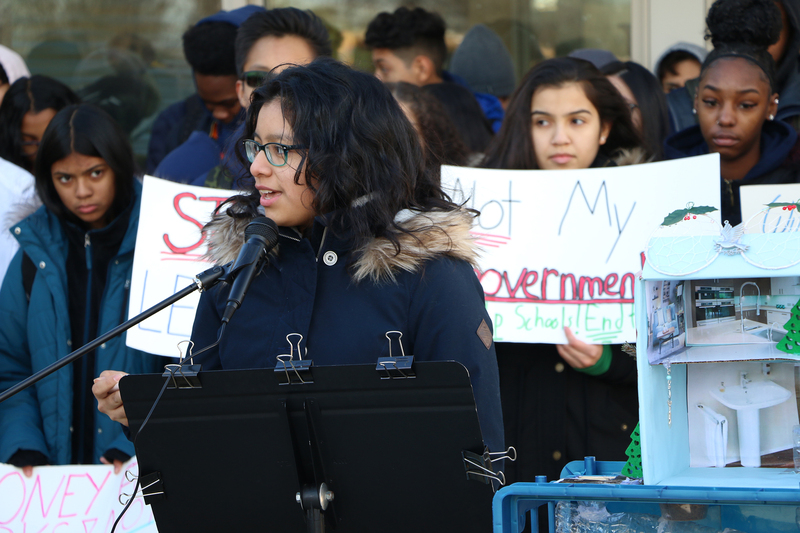 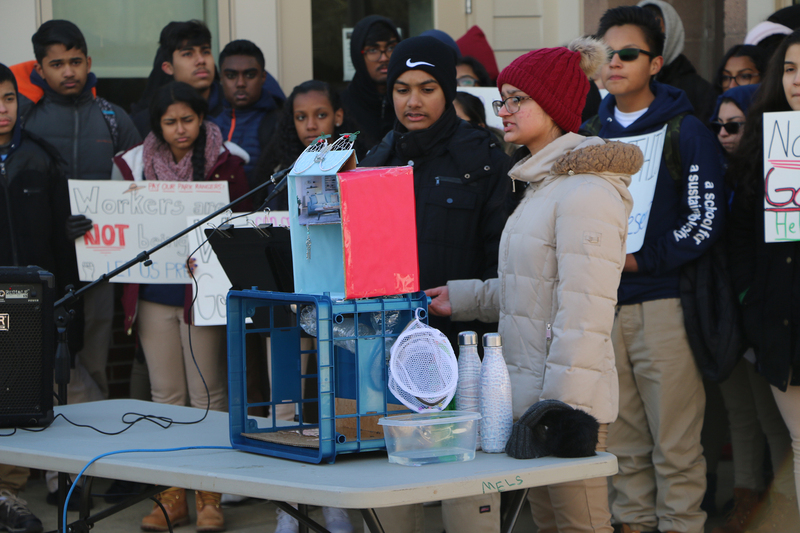 Whether or not the students attended the rally, the attitude at the school was clear: according to these students, the government shutdown didn’t only affect federal workers—including researchers, scientists, and parks employees—but it also affected public school students like them whose learning is deeply tied to the community around them. 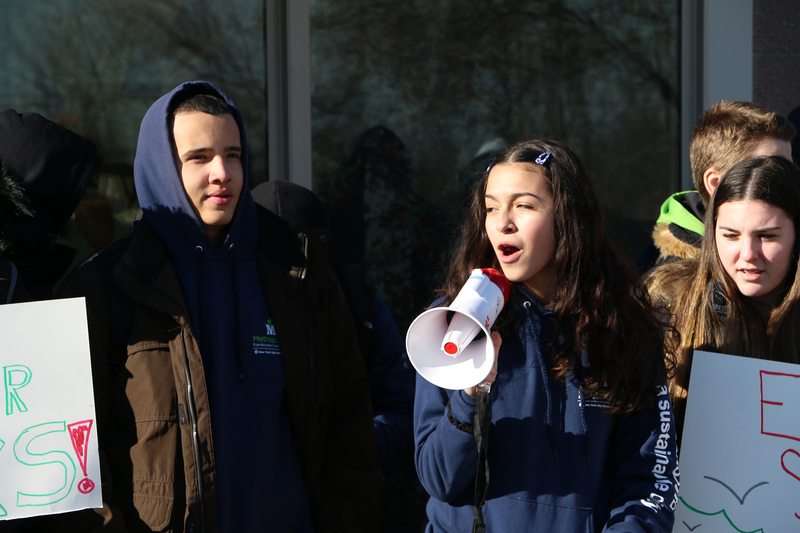 Our Educational Approach joins together demanding and engaging learning, with an emphasis on community and character.